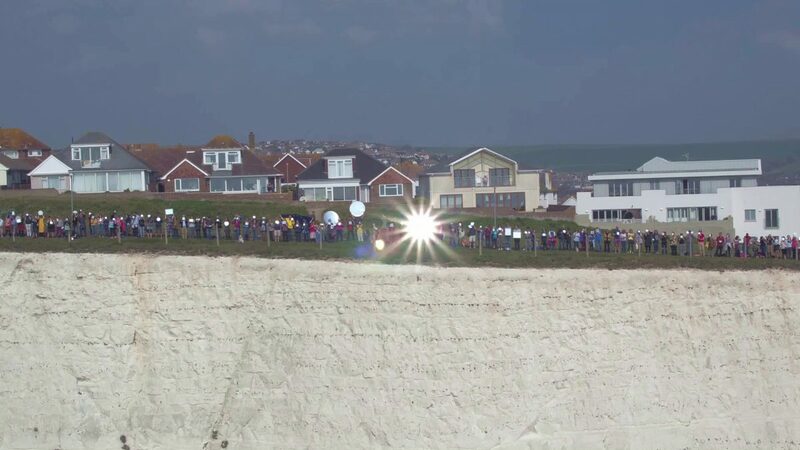 This is the moment more than 400 people gathered on cliffs at the south coast and used mirrors to flash an SOS signal to Europe. 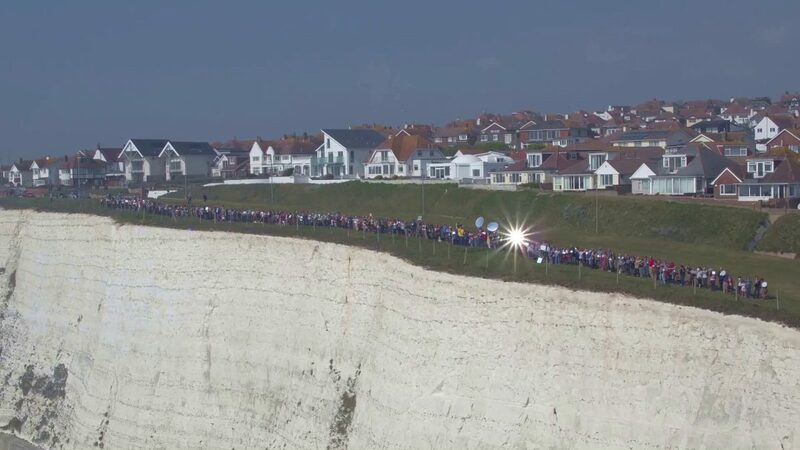 The art installation saw people stand in a huge long line on the cliffs at Saltdean near Brighton on Saturday. Armed with mirrors of all sizes, they reflected the sun’s rays, flashing out a “symbolic SOS call”. 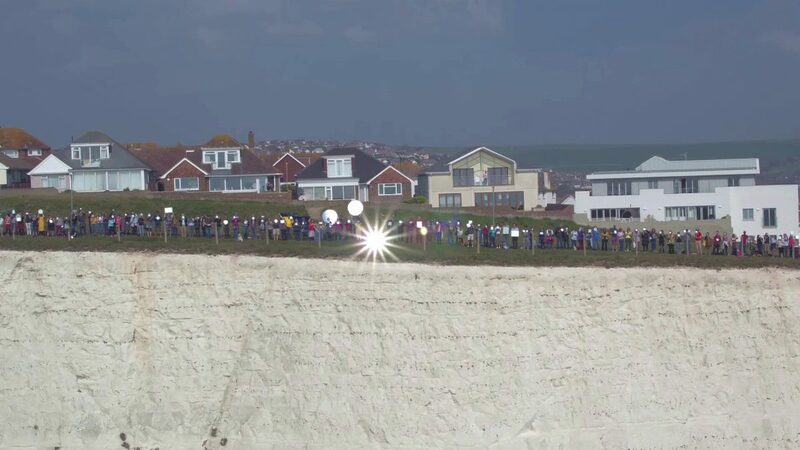 The stunt was captured by a drone, creating an impressive video of twinkling flashes, in front of the coastal village, above the steep white cliffs. It was created by artist Duncan McKellar, from Bristol, who asked volunteers to pitch up with mirrors at around midday. Duncan, who had the permission of the coastguard, last year completed a piece involving more than a hundred people with mirror masks standing in a line across the US and Mexico border.